Could this bright idea be the key? The concept of parents lending money to their children to help with property purchase is as old as time itself, however not without the potential pitfalls associated with unsecured lending which can be significant. Introducing the innovative P2C™ (Parent-to-Child) Product: a combined credit and wealth management product designed to assist young Australians onto the property ladder and protect families with intergenerational wealth transfer. The P2C™ wealth product enables parents to assist their children with property purchase without providing onerous bank guarantees which place the parents’ assistance and wealth in the grip of banks during a default. Recent statistics show that first home buyer numbers are down at 12.3 percent of new lending activity, falling from peak levels of 31.4% in May 2009. Record low interest rates and stable employment conditions have spurred a mini property boom over the past 12 months with property prices up 10% nationally. Young adults are living at home longer, finding it harder and more costly than ever to get onto the property ladder. With median house prices increasing nationally and to more than $800,000 in Sydney it is harder than ever to afford a starter home – without the assistance of family. 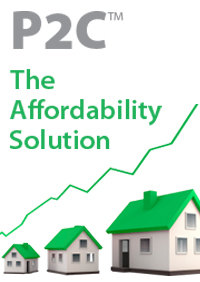 The P2C™ product looks to address the affordability gap between house prices and median income multiples – now at a staggering 5 times income. 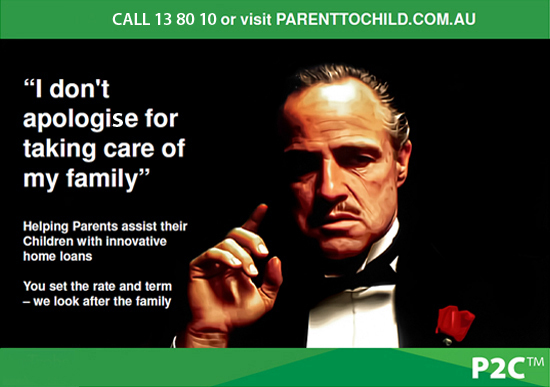 The P2C™ product is an attempt to protect parents wealth when they do assist their children, and at the same time enable children to enter the housing market without the need for asking mum and dad to put their wealth at risk through bank guarantees, or further mortgages against the parental primary or other residences. The P2C™ product formalises the assistance process between parent and child, documenting the arrangement, registering a mortgage on the security property, and then independently managing the assistance to ensure it is repaid in accordance with the agreed terms. Parents have traditionally gifted monies to their child which can leave them exposed from an estate planning and wealth protection point of view, for example, in the event of a subsequent marital or deceased estate dispute. The P2C™ product is specifically designed to protect the parents’ “investment” from such instances without exposing their assets or credit file profile to any risks associated with their child running into difficulty with repayments. 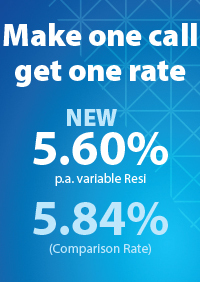 The parents however can still provide the much needed assistance for their children with interest rates starting as low as 3.5 percent per annum. Parents are able to assist their child with the full purchase amount, or they can assist in part to make up the balance behind the child’s own loan, possibly saving their child tens of thousands of dollars in Lender’s Mortgage Insurance premium. 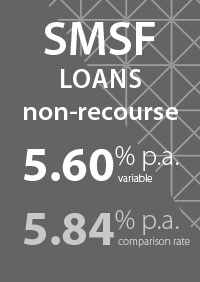 The parent decides the amount they wish to lend and the interest rate they wish to set (a minimum of CPI + 0.5%). 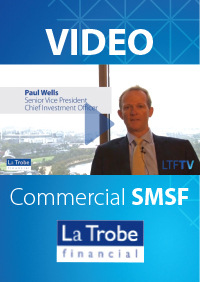 Then they make an investment in La Trobe Financial’s independently rated and licensed investment fund with over 10,500 investors and $740m in funds under management. The Parent’s investment might be for the full amount or just part of the property purchase price. The parents’ contribution will be secured by way of a registered mortgage, ensuring they have rights to the money at all times in the event of non-payment by the child following a marital or deceased estate dispute. 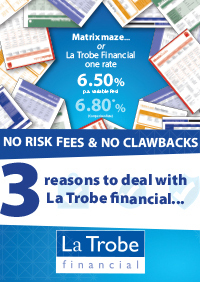 In the case of part funding, the Parent’s investment will be secured by way of a registered second ranking mortgage behind La Trobe Financial (or other lender’s) first mortgage. A parent can make their investment individually, collectively with other family members and via company or family trust entities. 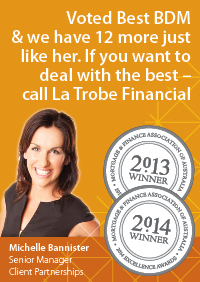 They will need to obtain independent legal, taxation and financial advice.